By the way, Miyares has been playing music since he was 13. Many of us know him from his performances here in the Arts District, playing with the Devil Dogs (whose members include Jessie Easter). 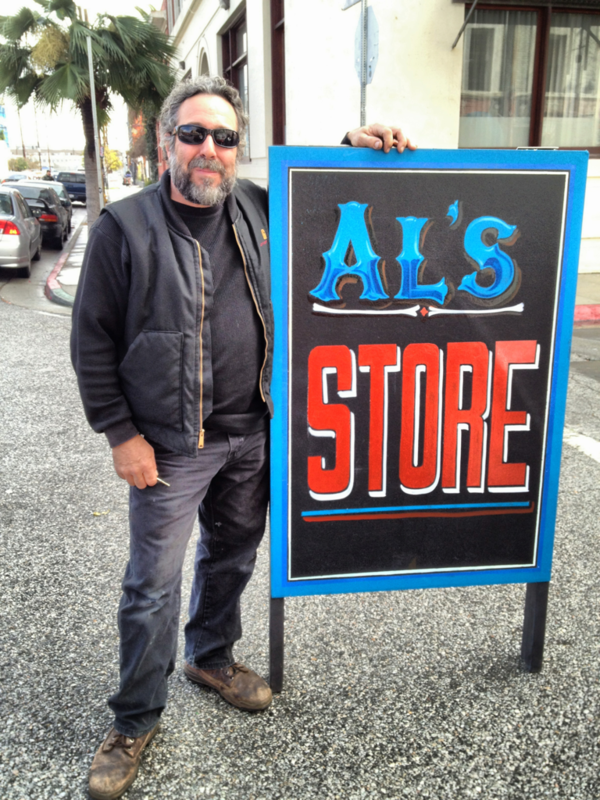 Al has played bass guitar for several bands in his native New York and his adoptive California. An expert metalworker, he has shown his sculptures extensively. According to many, he is also the spiritual advisor of the Coagula Art Journal.